Jefferies raised Aetna Inc (NYSE: AET) price target from $165 to $185. Aetna shares closed at $170.03 on Tuesday. DA Davidson lowered the price target for Under Armour Inc (NYSE: UAA) from $23 to $15. Under Armour shares closed at $12.52 on Tuesday. Mizuho Securities cut the price target for Amgen, Inc. (NASDAQ: AMGN) from $198 to $192. Amgen shares closed at $175.22 on Tuesday. Piper Jaffray increased Electronic Arts Inc. (NASDAQ: EA) price target from $128 to $130. Electronic Arts shares closed at $119.60 on Tuesday. JPMorgan cut the price target on Abercrombie & Fitch Co. (NYSE: ANF) from $12 to $10. Abercrombie & Fitch shares closed at $13.43 on Tuesday. 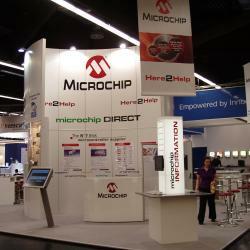 Has Microchip Tech's Recent Run Made The Stock Too Pricey?